Privacy Eraser is an all-in-one privacy suite, PC optimization, and cleaning tool to protect your privacy and make your computer faster, secure and more efficient. It's easy to use solution for protecting your privacy by deleting your browsing history and other computer activities. 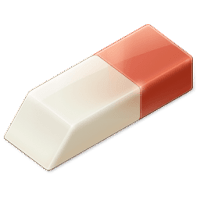 Buy Privacy Eraser at 50% OFF. Improved Vivaldi cleaning and monitoring. Improved Microsoft Edge Tab cleaning. Improved Shutdown after cleaning and /Clean command-line. Improved 64-bit build architecture for Windows 10. Improved Include and Exclude wildcard support. Improved Import/Export functionality for Custom Plug-ins. Improved loading speed of Add-ons Manager. Disclaimer: Direct downloads for the lastest version of Privacy Eraser 4.28.2.2395 are provided by the official software's author, we can't guarantee safety, availability or download speed. Moreover, we don't and we won't provide any pirated/illegal versions or tools. We recommend you to avoid it as these methods can harm your device. If you like the software, buy it to support the developers. (We provide software discounts for many worldwide brands).